I’ll start by being honest with you: I didn’t have any high expectations from This War of Mine – I had no expectations, actually, since I barely knew anything about the game. I’ve decided to purchase it, though, as part of the Steam Winter sale mostly because I am willing to try anything out at least once and if I can help a small studio, I’ll do it. Even more, I kept the game in my Steam library for a couple of days before eventually playing it for the first time and now I regret all the time that I have wasted. This War of Mine is really more than a game: it’s an intense experience, a tale about survival, a tale that you write as you wish and a title that has a deep impact on any human being playing it. It’s not about fighting zombies and blowing stuff away, it’s about staying well fed and feeling powerless against the elements, powerless against the things that the God of Randomness throws at you. It’s real life – or as close as it can get to real life when wars, survival and video gaming are involved. It’s amazing. 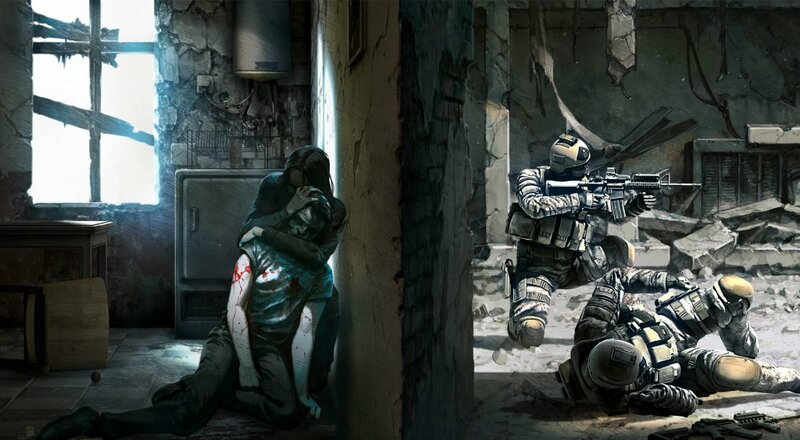 This War of Mine throws you directly into the action. There’s no tutorial telling you what to do or where to go and you get the hang of everything slowly, as you experience the game. You’re thrown right into the survival situation and before you know it, you’ve already wasted an important day doing mostly nothing but keeping your survivors hungry and miserable. So this is how war might feel like! You control three different people, with three different backgrounds: a female reporter who can get a better deal when bartering items, a slow middle aged guy who can cook a great meal and a former soccer player who still has the pace to help you in messy situations. They all live in an almost destroyed building, with basically nothing but a bit of garbage to keep them alive and a dangerous city to explore. The fun part? You will probably get a different set of characters, because each time you start a game, three are randomly chosen from a poll of 12 existing characters (and hopefully more will be introduced in the future). Each day is divided in two parts: the first one takes place during the day time, where you can search your house, interact with friendly or less friendly visitors, rest your survivors and craft things required to keep on going for one extra day. When the night comes, you can go scavenging – but you can only use one survivor and a backpack that will usually be too small for the things you’ll find during your trips. You only have your gut to tell you where to go and what to do and all actions are permanent. There’s no save option, you can’t retry again until you do it right, you don’t know what to expect. And you’ll most likely die before it’s all over. That’s the sad reality. 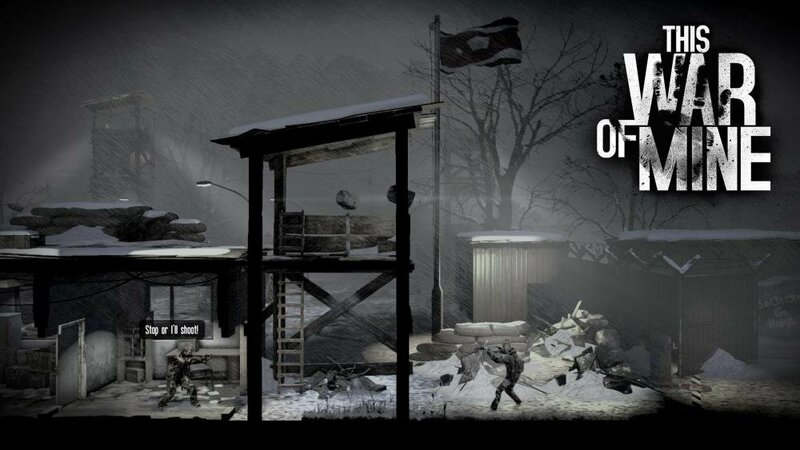 And it’s exactly this grim feeling that you get, the suffocating pressure that you feel constantly while playing this gem that makes This War of Mine so incredibly amazing. Although not spectacular from a visual point of view – mostly tones of gray and black – it does exactly what it’s supposed to: it gives you a true, complete experience, and not only a game. 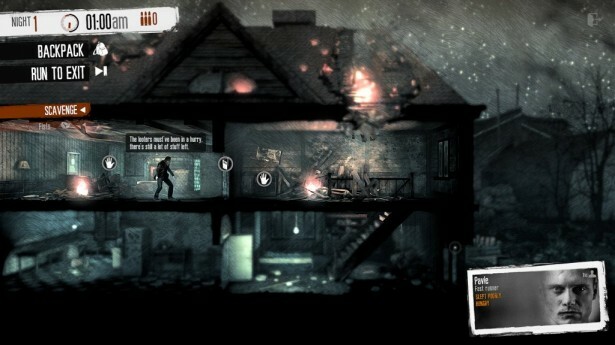 While playing it, I couldn’t help but compare it with the Rebuild series – because really, I don’t know of any other game that can be compared with it – and the more popular Rebuild simply fades in front of This War of Mine and almost feels like a colorful, worry-free, pointless piece of candy. Therefore, all I can do is wholeheartedly recommend you This War of Mine. It’s an absolutely amazing game, a complete product that will amaze you, even more so if you are a survival freak like me. Two thumbs up – and I’d give it more if it were possible!